Back in 1894, a traveling comic opera drew crowds to theaters across America. They came to listen to witty lyrics and catchy tunes about… Tabasco. Yes, the ubiquitous peppery hot sauce brand. 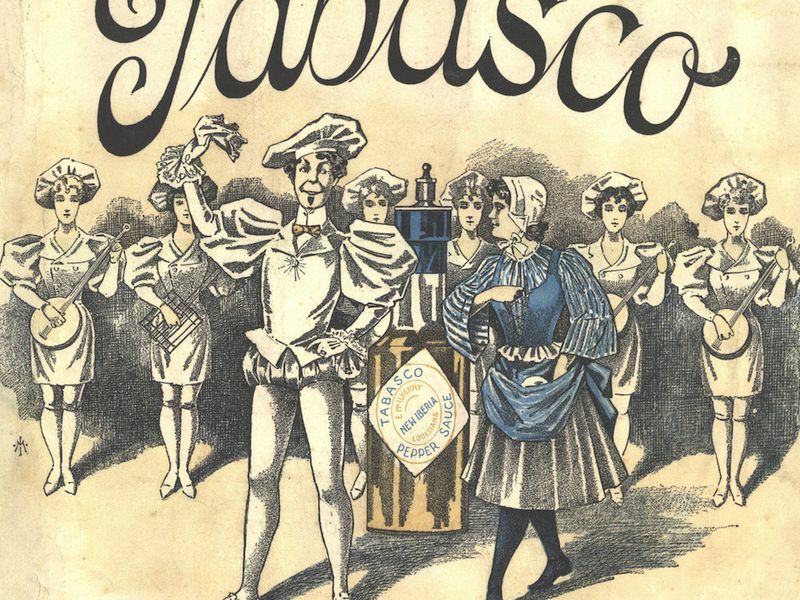 Called the “Burlesque Opera of Tabasco,” the show quickly became an overnight sensation (it did, after all, feature a giant papier-mâché Tabasco bottle and the verse “Turn out the town, boys drink it down, hail to the Peer of Tabasco”). Due to alleged conflicts between composer George W. Chadwick and producer Thomas Q. Seabrooke, however, after the opera’s initial run, it faded into obscurity and was largely forgetten about—until now. Thanks to Kathy Waller who posted this in HOTSHOTS, the newsletter of Sisters in Crime Heart of Texas Chapter.